Vintage aloha style on a circa 2000 shirt label. Direct scan of one of the local favorites in high-end aloha wear. Don't be fooled by cheap imitations. 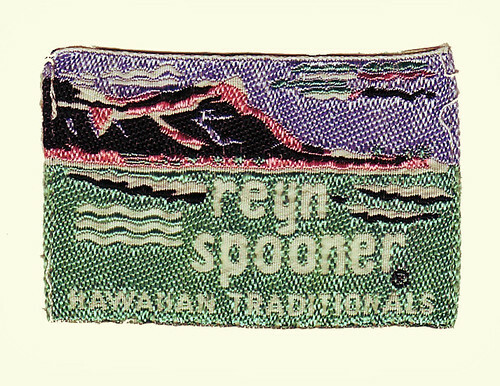 Ask for Reyn Spooner. 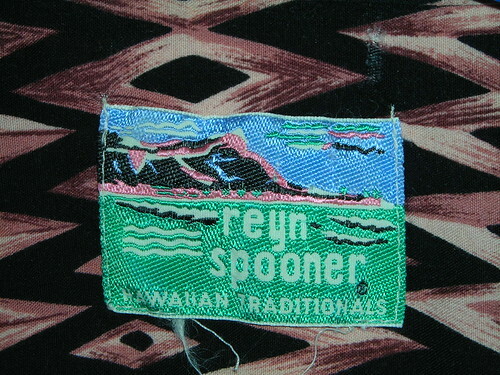 Supposedly, Reyn Spooner is a big deal fashion label. The label for the classy Hawiizona shirt.